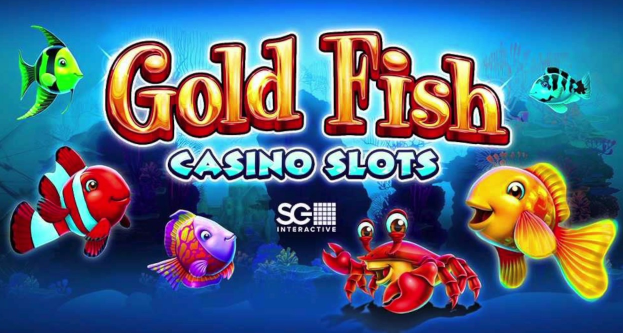 Gold fish Slots is a video slot coming from the great WMS portfolio. As you can guess from the slot name the game is about pet fish. The game has a medium variance and comes with some pretty interesting bonus features which can produce great payouts. The promoted RTP in the slot is set at 96%. The slot has a 25 payline design with a total of 5 reels and 3 rows. Players can bet anywhere from $0.35 to $105 per spin in this game, where the extra $0.10 cents are added to the feature bet. This is a common option in many WMS slots where with the feature bet option you have a bigger chance to score big payouts in the bonus round. Visually the slot has some interesting details. The reels are inside of an aquarium with several different fish swimming around. But like in many other WMS slots the animations are on a medium level, along with the game symbols. The game comes with a Wild symbol which is the Gold fish. The Gold fish will replace for all symbols in the game except for the Scatter symbol and can land on all of the reels. When 3 or more Scatters land anywhere on the reels the bonus round is triggered. This is a cash bonus where a full screen of Fish Food Cans are presented. The player will need to choose among them and when 3 or 4 are matched a prize is awarded. If you find 3 Turtle Food Cans the payout is even higher. Players can also trigger 5 different random features during base play. 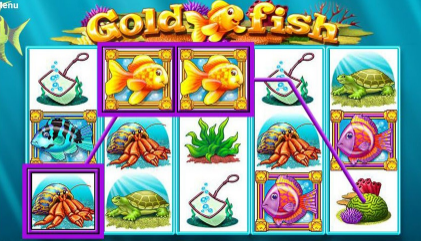 Triggering the Gold fish feature will award you with 5, 8, 10, 15 or 20 free spins along with a win multiplier of x2, x3, x5, x7 or x10. Triggering the Purple Fish feature awards a cash bonus where the fish blows a total of 3 bubbles. Each bubble contains a number from 0 to 9 and when they align a number between 15 and 984 is formed, which is the line bet payout from this feature. The Red Fish feature awards a Castle, Clam or Chest bubble and each kiss from the fish increases its value. Players can win up to 200 times the line bet per kiss. The Green Fish feature awards bubbles with cash prizes. Each of the bubbles awards a prize between 10 and 500 times the total bet. The Blue Fish awards 3 Super Scatter Spins, where all symbols award payouts regardless of their position on the reels.